Submitted to All News Pipeline by Dr. Peter Vincent Pry. Dr. Pry is Executive Director of the Task Force on National and Homeland Security and Director of the U.S. Nuclear Strategy Forum, both Congressional Advisory Boards, and served on the Congressional EMP Commission, the Congressional Strategic Posture Commission, and the House Armed Services Committee. Few Americans have heard of Roscoe Bartlett--but all Americans may someday owe him their lives. 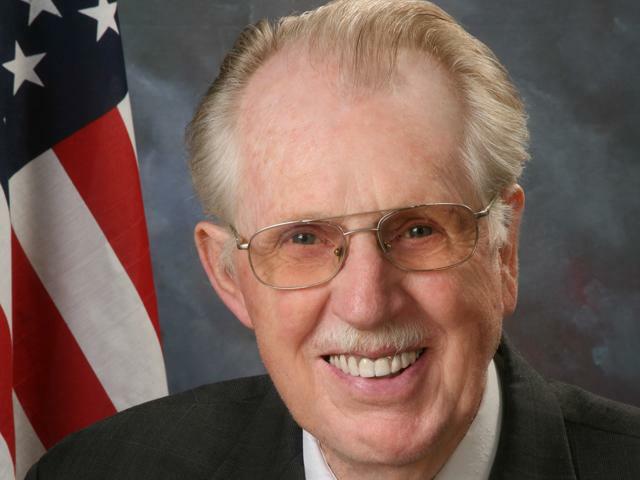 The former congressman from Maryland's 6th District, who on June 3rd celebrated his 90th birthday, is the modern Paul Revere of electromagnetic pulse (EMP). It is a safe bet that most or all readers of Family Security Matters and All News Pipeline now know about the EMP threat. Indeed, more Americans may know about EMP than about Paul Revere, a situation Roscoe would certainly disapprove! Roscoe Bartlett took EMP out of the classified shadows. There its potentially paralyzing effects on military forces and civilian critical infrastructures were deeply understood only by a small number of nuclear strategists and specialists. The American people now know about the existential threat that is EMP because of Roscoe Bartlett. In 1995, then Representative Roscoe Bartlett--one of the few scientists and inventors to hold a seat in Congress--launched a one man crusade to educate policymakers and the public about the grave danger to our civilization from a nuclear EMP attack that might come from terrorists, rogue states, China or Russia. The spark was the still little known nuclear missile crisis of January 25, 1995. During the most perilous 20 minutes of the nuclear missile age, the Russian General Staff mistook a high-altitude Norwegian meteorological rocket for an incoming EMP attack. They activated then Russian President Boris Yeltsin's "red button" for making a nuclear strike. Fortunately, Yeltsin literally refused to "push the button" and bravely waited. The missile reached apogee without an EMP detonation. The crisis passed. In the aftermath of the crisis, Roscoe wondered, if a single nuclear weapon used to make an EMP attack could have such catastrophic consequences, so frightening to the Russians, could terrorists or rogue states make an EMP attack? Do Russia and China have plans for EMP attack against the United States? And are we prepared? Congressman Roscoe Bartlett held the first unclassified hearing before Congress and the public on EMP effects, and on the capabilities of potential adversaries. Over the next five years, Roscoe convened numerous unclassified and classified briefings and hearings on EMP before the House Armed Services Committee and other bodies of the Congress. Roscoe arranged a congressional hearing unique in history at Aberdeen. The capabilities of two non-nuclear EMP weapons were demonstrated to Congress and the people at the U.S. Army Proving Ground at Aberdeen. The weapons were an experiment, designed and built by civilian electricians, using parts available from Radio Shack, to showcase what terrorists could do. At Aberdeen, the successful tests were performed in a special chamber designed to contain EMP, to protect passing airliners. The circle of knowledge and concern about EMP grew rapidly, due to Congressman Bartlett's leadership. But President Bill Clinton's Department of Defense and other administration spokesman dismissed the EMP threat. They argued the Cold War is over, so we don't need to worry about EMP attack from Russia or China any more. Terrorists and rogue states are not sophisticated enough to understand EMP, or so Congress was told. Consequently, because the Cold War was over, the Clinton Administration was dismantling EMP simulators, no longer EMP hardening U.S. military forces, and using commercial off-the-shelf technologies very vulnerable to EMP. In May 1999, Roscoe went to Vienna with a bipartisan Congressional Delegation to meet with leaders of the Russian Duma to explore ending the Balkans War. NATO was bombing Serbia, a Russian ally. On day one of the meeting, the Russian Duma made a thinly veiled threat to end the Balkans War by making a nuclear EMP strike on the United States. Thus, Moscow discredited the Clinton Administration's claim that the U.S. doesn't have to worry about EMP. In 2001, Rep. Bartlett established the Congressional EMP Commission with unanimous bipartisan support. The EMP Commission found that Iran--the world's leading sponsor of international terrorism--openly writes about destroying the United States with a nuclear EMP attack and has practiced such an attack in missile tests and exercises. Russia, China, and North Korea all have the capability and plans to make an EMP attack on the United States. The Commission also warned that Mother Nature can inflict an EMP catastrophe by a solar super-storm, like the 1859 Carrington Event. In 1995, many belittled Roscoe Bartlett for sounding the alarm about EMP. --President Obama has launched a "National Space Weather Action Plan" to protect the electric grid and other critical infrastructures from natural EMP generated by a solar super-storm. --Obama's Department of Defense is further hardening the North American Aerospace Defense (NORAD) alternate headquarters inside Cheyenne Mountain, and hardening many DOD assets, against EMP attack from North Korea and others. --The Critical Infrastructure Protection Act (CIPA), which would require the Department of Homeland Security (DHS) to plan for protecting and recovering the nation from a natural or manmade EMP catastrophe, is on the verge of passage through the Senate. --DHS is not waiting for passage of CIPA, but is partnering with the Department of Energy and the electric power industry to plan for protecting the grid from nuclear EMP attack. --The States are not waiting for Washington. So far, Maine, Virginia, Arizona, Florida, and Texas have launched initiatives to protect their peoples from EMP. --Congress has re-established the EMP Commission to help federal and state governments. Two North Korean satellites already orbit over the United States on the optimum trajectories to evade U.S. National Missile Defenses and make a surprise EMP attack. 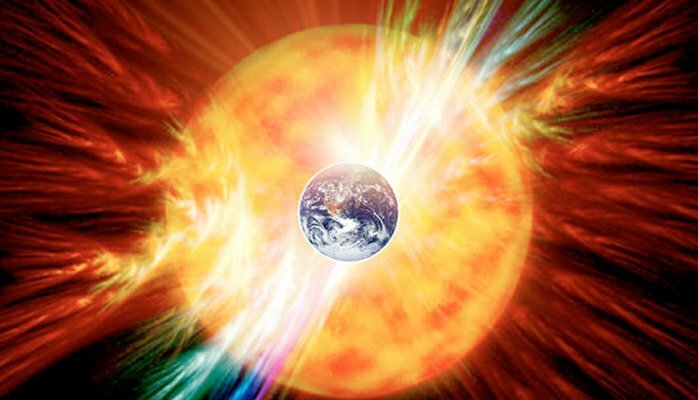 NASA estimates the likelihood of a natural EMP catastrophe from a solar super-storm, encompassing the whole world, to be 12 percent per decade. Anyone can buy portable non-nuclear EMP devices that criminals or terrorists could use, with a little knowledge of the grid, to cause a protracted nationwide blackout. Will efforts to protect the nation from an EMP holocaust of mass starvation and societal collapse be in time? Will our efforts be enough? But God sent us Roscoe Bartlett. While trying to save America, Roscoe has also been a husband to his wife Ellen, father to 10 children, grandfather to 17, great-grandfather to 2, a teacher, a physiologist, and a patented inventor. Note from ANP: In the videos below we have added to this story, you'll hear from Roscoe Bartlett on several different topics including EMP, UFO secrecy as well as his thoughts on 'Orwellian Government Censorship'. Keep in mind, Bartlett is a former US Congressman from Maryland and one of the original preppers. 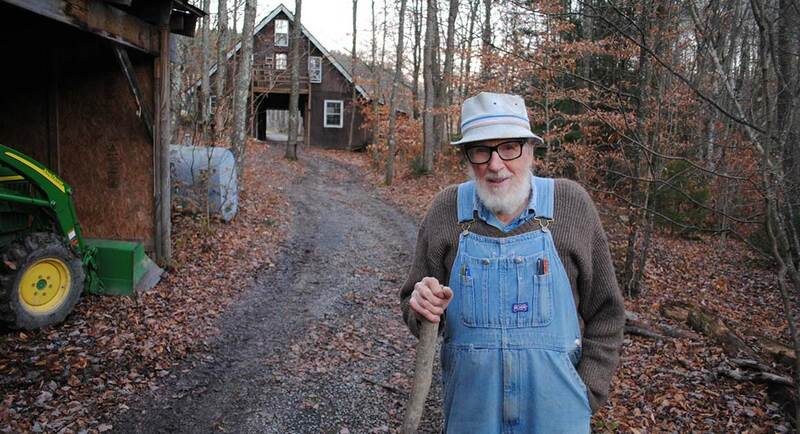 He now lives completely off the grid in West Virginia as seen in the photos above with no phone service and no connection to municipal plumbing. If Congressman Bartlett is reading this, ANP would love to ask you a few questions for a follow-up story. You can reach us at [email protected] Thank you for your service to America.